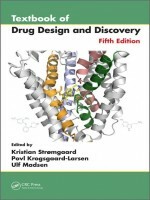 Building on the success of the previous editions, the Textbook of Drug Design and Discovery, Fifth Edition, has been thoroughly revised and updated to provide a complete source of information on all facets of drug design and discovery for students of chemistry, pharmacy, pharmacology, biochemistry, and medicine. The information is presented in an up-to-date review form with an underlying and fundamental focus on the educational aspects. Beginning with an introduction to drug design and discovery, the first eight chapters cover molecular recognition, ligand-based drug design, and biostructure-based drug design. The authors also discuss drug-like properties and decision making in medicinal chemistry, chemical biology, natural products in drug discovery, and in vivo imaging in drug discovery. The middle six chapters provide an overview of peptide and protein drug design, prodrugs in drug design and development, and enzyme inhibitors. The authors also go through receptors (structure, function, and pharmacology), ion channels (structure and function), and neurotransmitter transporters (structure, function, and drug binding).